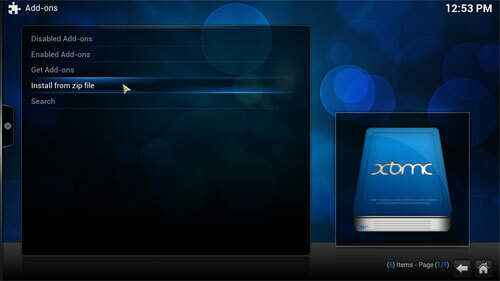 In this guide we will take you through the steps needed to install the XMBCHub Wizard. 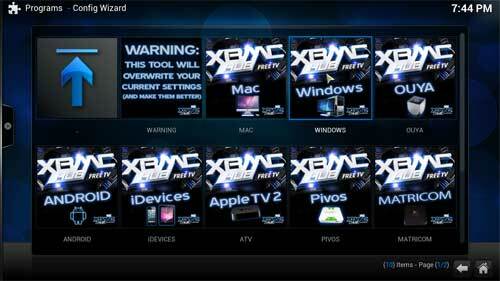 XMBCHub Wizard when installed will setup your XBMC with a nice set of plugins and options for the operating system you have installed XBMC on. 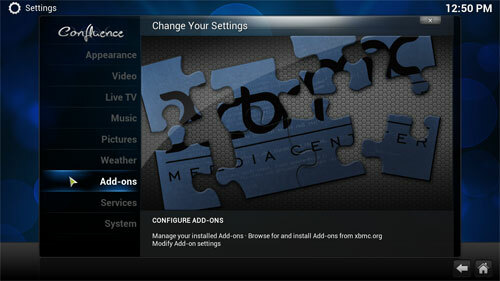 This will also configure settings so that your XBMC will work optimally on your operating sytstem. 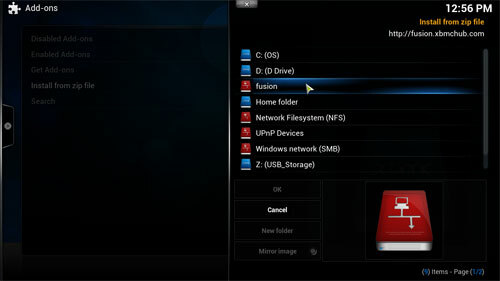 Look through the Fusion folder scrolling down until you find the hub-wizard folder then double click on it..
Now select the zip file plugin.video.hubwizard then select OK. When its finished goto the start screen and select PROGRAMS. 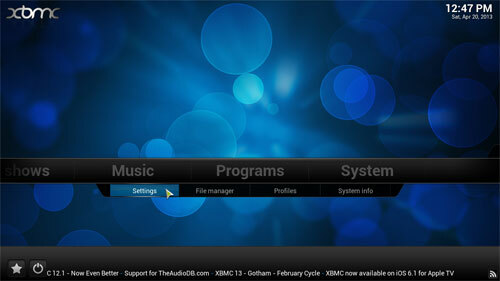 Now select XBMC Hub Wizard. Now click on the icon for your operating system, Windows was selected here. Now wait for the download to complete, if you have a slow connection this can take some time. When download is complete it will extract the file. 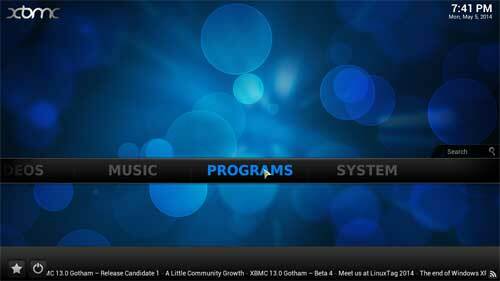 After the extraction has finished your XBMC will be configured, when that is complete shut down XBMC and restart it and you should be presented with something similar to below. Thats it, XBMCHub Wizard is now installed. 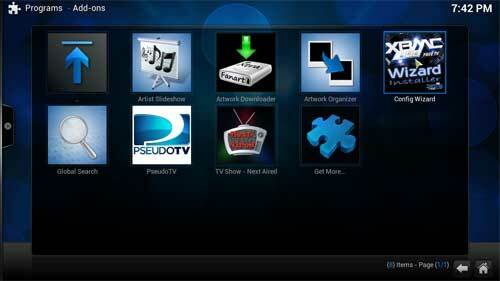 You will find there is now a lot of new plugins and add on added so go and explore.